We each hold a rhythm stick in our right hand. 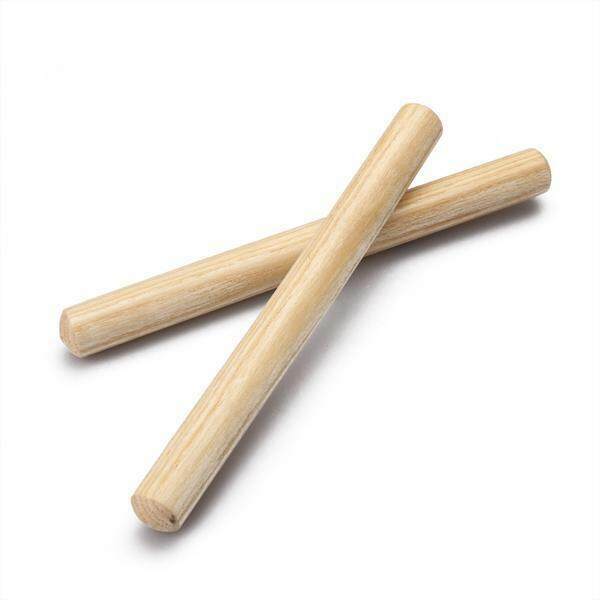 With our palms up, I roll my stick into my partner’s palm, while he or she rolls his or her rhythm stick into my left hand. We take the rhythm stick in our left hand and pass it behind our back to our right hand, the roll the stick into our partner’s hand again. Roll, Pass behind my back, roll. We do this action a couple of times, then I start to sing as we do the action. I’m trying (roll) to be (Pass behind my back) like Jesus (roll then pass behind my back). I’m following (roll) in His (Pass behind my back) way (roll then pass behind my back). Video Clip -click on the IMG below. I stop part way through the song, then tell my partner to find another friend while I find a new partner, also. We start the pattern again. I start to sing the song again as we do the action. I stop the singing once again and ask each of these three children to find a partner while I also find a new partner. We start the pattern again, then I begin to sing as we do the pattern. Again I stop the song and ask each child to find a partner. I call out “Freeze!” then give the instruction that the sticks are to be used appropriately or I will have to take yours away. When I call out Freeze, raise your rhythm stick in the air. (These are the boundaries for the activity.) My accompanist and one of the presidency members make sure that everyone has a rhythm stick, and we begin the pattern. When we reach the words “but I try to listen as the still small voice whispers…”, call out Freeze! Ask the children to each take their rhythm stick with them and find a new friend by the count of 10. I count down as the children (often with teacher help) find a new partner. We do the action a few times, then I begin to sing where we left off. Continue to the end of the song, then ask the accompanist and presidency member to help gather the rhythm sticks. With this activity, you cement the feel of the song into the children’s brains and bodies while they are engaged and interacting with someone else. Their brain has heard the whole song, their body has felt the movement and energy of the song, and they now have a memory framework wherein to attach different pieces of experiences with this gentle, spirit-filled song. This is absolutely wonderful Sharla! You have the best ideas! I have been studying the healing benefits of music & sound when coupled with movement. Your music activities are priceless to music choristers and teaching the children the truths of the gospel. Thank you! Dear Alycia, We need more people who study the healing benefits of music and sound coupled with movement! Good for you. and yes, it is indeed powerful. Thank you for your kind words! I don’t know if this is helpful or not, but I have done a rhythm stick roll with Junior primary. When we do it, we use one stick per partnership. The junior primary uses both hands to pass the stick, with one partner rolling the stick into the open hands of the waiting partner. They then both take their hands behind their back to pass the stick, even though only one of them actually has the stick to pass. It was very challenging for the sunbeams and CTR 4, but the primary really enjoyed it. I also slow it down for Junior primary, so that they takes two phrases of music to roll the stick to a partner, and then two phrases of music to pass behind their backs. Cali thanks for posting this. I’ve got a combined primary so this might work! Thanks. That is a perfect way to do this activity. Love it!!! Since this activity is not using as much body movement, I wonder if the Nephi’s Courage rhythm band activity would be appropriate to do after with older and younger? I worry that it’s too much the same but yet it’s not. I see they are the same because they both use rhythm sticks, but the mood and feel of the different songs are different, as is the activity itself. Let me know if you try it! Sharla, this is another home run! Thanks for this suggestion! Since I don’t have rhythm sticks but DID just buy my kids’ school supplies, I am going to try to use markers instead. Not as hefty, but hopefully it will work. I did this for both older and younger using the idea by Cali and it worked beautifully. I did not do this for Nephi’s Courage but instead used the crack the code idea with the first letters of each word posted for the 3rd verse of Nephi’s Courage and that was a hit also. I will do the rhythm band activity later since I don’t have bells or shakers ready yet. I think you could use shakers instead of bells. Wondered if anyone has purchased shakers or made them and suggests what to use. I like the commercial ones because I have made them in the past with plastic easter eggs and the little kids love to peel the glue off them. Hee hee. Sharla or anyone on this site, I am wondering about egg shakers. Did you make them or buy them? I have both bought them (one by one actually. It has taken a while.) and have made them. Both work well. I don’t know why I’m having such a hard time visualizing this. I watched the video with just two people, but not sure I get how it’s done as you add people. Are you all in a circle? Dear Liesel, No, not a circle. The other pairs just come up to the front with me. This is strong because the children get to see it a few times before seeing it, then when we each get a partner, they know exactly what to do. They just need to experience what they have been watching. I was just telling my mother about how amazing you are and that you are my mentor in music time for primary. She asked what your name was and I told her. She said is she Sharla Grover. I said I don’t know. Did you grow up in Kennewick, WA? I lived on Oak Street. I was an Allen. We know the Grovers. Wow! Yes, I’m Sharla Grover Dance! Hello! Sharla, I came across this from an earlier post by you…. “They know the mood of the song. They know the louds and softs of the song. They know how much breath the song takes to really soar.”…..I haven’t read much about this here yet and I have only purchased your videos as of yet since I am on a budget and will purchase the book soon. I am assuming you cover this in your book, but is there something more about this in this blog that I can read about how you work with that with children? …. I put the major words of the songs around the room, but with a twist… sometimes the words are divided into two parts. There is a poster up at the front of the room with those major words missing. I sing the song, and the children find the missing word, raise their hand, then I tap them on the shoulder to go get the word (or half of the word) and put it on the poster…..
You posted this and I wanted to ask you more about this activity for this song. Im not sure if I am to comment on that post which is a couple years old or now. Would you get that comment I make now from an earlier post? I am not so knowledgeable about how that works. My main question is about the poster you make for the song. ARe you saying you post all the words to the song with a line or blank for the missing important words or parts of words? You have word strips around room of those important words/parts? The posters up front have a blank line or space for the missing words that are around the room, giving the child a context within which to link the word they find around the room. I choose the important words to put around the room, and the children bring that word up and choose where it goes in the song as I sing. Sharla, how would you handle teaching another verse to a small group for the program? I had thought to do a planned movement activity for the first verse with all children with Choose the Right Way and have the small group come up to front and just sing the 2nd verse as the others listen quietly. I meet with the children after church to learn the verse. When we sing the song again in Singing Time, the small group comes up and sings the verse, then we all join in on the chorus. Sharla, in teaching this song using a color code activity, the kids did so well and it was hard. We sang it through quite a few times and did well. The last time singing it I had them not sing on one color of circle and sing the remaining colors. One little group of boys started grunting on the not sing part which I actually was so busy pointing to the chart I didn’t even think about it until the song was over. The pianist and primary president stood up and said that was rude and stuff like that. Granted singing time was over and all good, but I wanted to ask you if that happens and how do you handle that type of inappropriateness since it’s not a misuse of an instrument but just not following the given direction for that time singing. I can totally see that happening (and things like that have happened to me). One note… Being chastised for participating (and they were totally participating), has a dampening effect on wanting to participate in the future. What do you do to practice for the Primary program? I conduct the children like we were a choir with the whole wall full of imaginary people watching their mouths to see if they can understand the words. I turn to emphasizing certain words and concentrating on getting louder or softer in different parts. I use my conducting in expressive ways to do that. Circling my arm around and around in a big circle to gain momentum for a certain part, pushing my hands out to emphasize a word, pulling an imaginary rope towards me to get the children to give me more sound… those are all things that help the children to sing with their whole body and heart. Yes, this is so helpful! I have had the same desire, that I want the children to like the program, not dread it or become “burned out” from rehearsing. Do you do an actual “run through” of the entire program ahead of time at all? All of this is pretty new to me, so I really appreciate being able to turn to a more experienced friend for help! Thank you so much. I recognize these are only my thoughts though and there are many ways to do program that are good. Thanks for asking. Last week we did half of the younger primary giving their talks (they are very short), and half of the older primary. Next week the others. The week after that, we are in the chapel for 40 minutes helping the teachers get each of their children to the mic at the right time (no talks). We will sing one song or two while we are in the chapel, but that’s all. We recognize the run through is mainly for the adults, not the children, so we are only running through what the adults need. Sharla, I have seen moments of you leading using emphasis with hand movements. That would be neat to see you share sometime using leading techniques with music. You have a talent for that also that I’m not sure if you have shown but do you think it would be neat to share in one of your classes that you give to choristers? I don’t even know where to sing soft or loud or words to put emphasis on. I do play the piano but I never got any instruction on how to lead and what to emphasize. Would you just go through the song and pick where to soften or make loud and what words to emphasize? And I would think you would make notes with the and highlighting words? I have never thought about that aspect of the song but that makes sense. I’m TRYING to be like JESUS. I’m FOLLOWING in His ways. The same kinds of things you would emphasize if you are speaking passionately to one of your children saying those words. Dear Sharla! I just wanted to let you know that we had our program two weeks ago, and leading up to it, I was a little bit worried. I have never done primary music before, but I came across your blog the week I accepted the calling (one year ago). I have used your techniques every week: 3-4 songs each week with 3-5 minutes given to each song, each with a different (contrasting) activity. There were many times that my presidency commented how they loved how engaged the children were, but worried that they weren’t learning the words because they weren’t singing. But, I kept with it, trusting that it would all come together. And, it did! And, they sang with their hearts. It was such a wonderful experience, and I wanted to thank you for helping me, and our primary, so much. Thank you, thank you, thank you! Dear Cali, This warms my heart. To hear that children sing with their whole souls is really the goal! Thank you for trusting. Thank you for sticking with it! The children are engaged, they don’t hate the practice but instead are having fun, and yes, they sing with their hearts when they are taught like that! Sharla, have you ever made a video showing some of the gestures you do for leading? I see your comments about making big circle to build and rope like movement for louder and I am curious how that is done and if you ever could show a few key movements you make when leading that help. Since most of my conducting is in the chapel, I can’t film it , but I’ll try to put more conducting on this year’s video for 2018! SHARLA!!!! I hope you see this because our primary program was today and it was supercalifragilisticexpialidocious!! IT WAS 100% because of you and your inspiring teaching techniques! Every single child sang their complete heart and souls out and my eyes about popped out of my head! They knew every word and every part of their songs and I did 110% of your teaching styles and techniques every Sunday in primary. You have touched my heart and I know theirs too because they loved singing and so many of them had movement and rhythm with their singing even though they couldn’t take the instruments with them. Their audience was wowed and felt the spirit of our program. They also carried this through with their speaking and enthusiasm for primary was evident! I am grateful to you and ALL YOU DO on behalf of sharing with us your mentors! This makes my heart warm! I’m so grateful you shared this experience. Thank you, Lynn. I’m Fatima, I’m from Brazil, I’m loving my blog. Thank you for sharing your valuable ideas with us. It is a great blessing indeed.